First reported on March 31, the spill started when oil began leaking from a pipeline operated by state-owned oil firm Pertamina in the city of Balikpapan in East Kalimantan province. 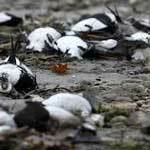 According to a report by the Ministry of Environment and Forestry, the slick was spreading out from Balikpapan Bay directly into the Strait of Makassar, encompassing a massive 130 square kilometers (50 square miles). According to EcoWatch: Pertamina, which for days had denied responsibility for the disaster, finally admitted on April 4 that one of its pipes used for transporting crude oil was the source of the slick. 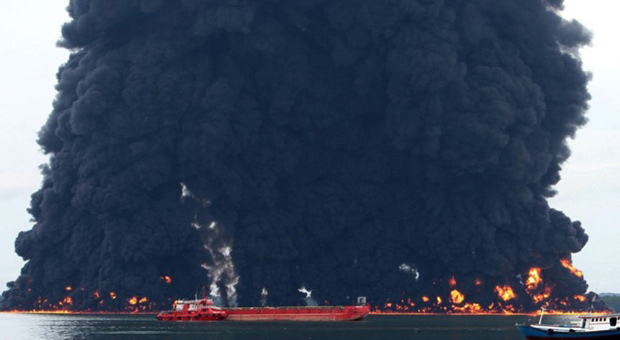 "Our preliminary investigation had indicated that the oil was ship fuel, but it was only until [the evening of April 3] that we got confirmation that it was from us," Pertamina general manager Togar M.P. told reporters. "Ever since the incident was discovered, we have shut down the pipes." 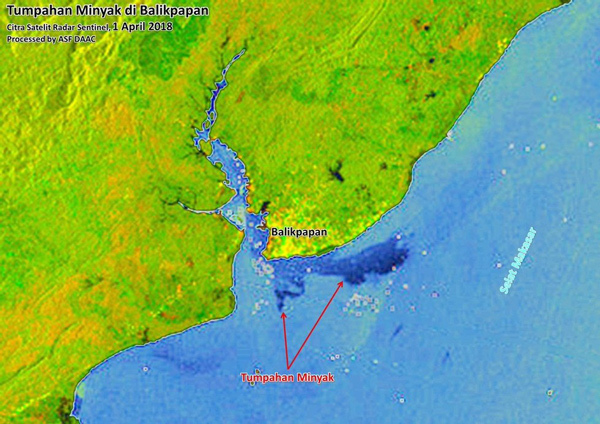 A satellite image dated April 1 shows the extent of area that is covered with crude oil from an undersea pipe leakage in Balikpapan Bay. Authorities declared a state of emergency in the city on April 3, and warned residents not to light cigarettes in the area. They also distributed gas masks to protect against the acrid fumes and smoke.